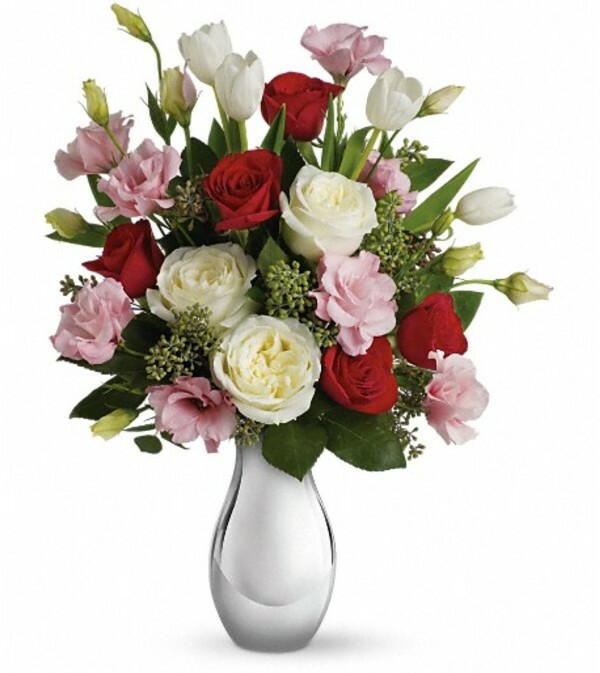 Tickle her heart with this flirtatious mix of romantic roses, lisianthus and tulips. 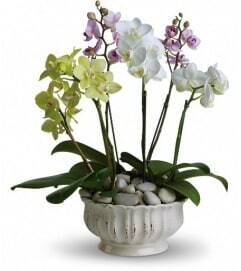 This bouquet is arranged in our elegant Silver Reflections vase. It's a vase she's sure to hold on to - and it'll always remind her of you. This feminine bouquet features large white and red roses, delicate pink lisianthus, elegant white tulips and seeded eucalyptus and comes delivered in our exclusive Silver Reflections vase, a metalized ceramic vase with a light pink tone. 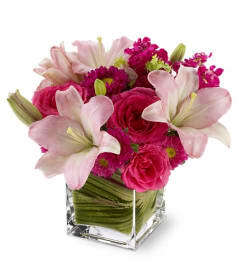 Ordered a "deluxe" bouquet with an add-on of chocolates as a get well for a colleague and she was delighted! 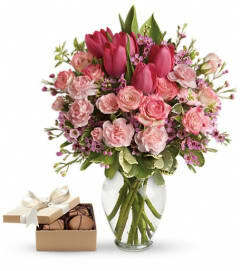 She sent me a photo of the flowers because the were *stunning* and was thrilled to get "Fraktals" for the chocolate [I'm in the U.S. and I don't even know what that is! My colleague says they are a guilty pleasure, addictive.] Beyond expectations in every way. Excellent communication, no hassle, superior quality. No hesitation to recommend to anyone. Called, ordered, delivered and wife happy.Very professional and honest.Will definitely use them again.